1 + 1 Media Group is conducting structural changes and reforms the team. 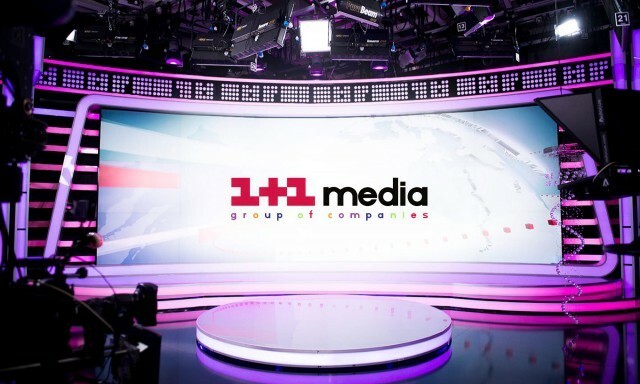 Taking into account the new trends in the world of the media industry and the directions of 1+1 Media strategic development, the heads of the group defined the new areas of operation activities. The changes are dedicated to centralize current processes and to development of important business lines. Since October, 3 the following changes will be made. – Yaroslav Paholchuk, Executive and financial director of the group, will take position of paid TV department Director, development of 1 + 1 Media on paid TV market of Ukraine will be the key task of this division. – Anna Tkachenko leaves the position of HR Director. Later Anna will work in a new direction and will become the Director of Group Strategy and Development. This direction was created for system management of the long-term group strategy implementation, looking for new opportunities and effective solutions. Anna also will be the director of Digital business line, the key tasks of this division will be to create the unified digital strategy of all group’s assets and their monetization. 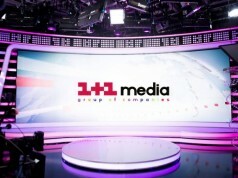 – Larisa Bruver will be the new HR Director of 1+1 Media. Larisa is the professional at the human resources management with 12 years of experience. Recent seven years she worked on leading positions in international companies and managed the company branches in Eastern and European regions. – David Stogel will be the Director of strategic program planning in the Group. David has 20 years of experience in television field in Central and Eastern Europe. He was responsible for development of private media in Poland, Romania and Hungary. Since 2005 he worked on position of the program director, and later – Deputy General director of TV Nova channel in Czech Republic. David will have a task to form program strategies all the group’s TV channels. – Olga Slisarenko will take position of the executive producer of entertainment shows at 1+1 TV channel. Also she will remain the head of the group formats department. – PR function will be put on the strategic level and will consolidate the strategic communication goals and management the communication risks for all group’s business structures. Svetlana Paveletskaia remains the PR Director. “Our company is constantly developing, and I am pleased that our strategy has already received a concrete shape and is implemented in particular changes. I congratulate Larissa and David, and I am sure that they will become the part of our team and will be able to bring the best practices in their respective fields. As for Anna, Yaroslav, Svetlana and Olga – nice to see how our managers grow and are developing with the company. I am sure that a lot of interesting and successful projects are waiting for us in future”- said AlexanderTkachenko, the General Director of 1+1 Media.